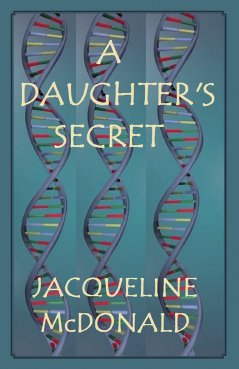 An innocent on line DNA test, release's fifty years of hidden and long buried secrets. Her husband takes an online DNA test to help in building his family and research his ancestry. His wife is somewhat amused but doesn't have much interest in it because she knows her heritage. After a few weeks, his DNA results are in! Happy times for him! During a visit to the in laws, her husband tells his sister and his family all about his DNA test results. His sister Joyce is so excited about hearing their origins, she starts dancing around doing a native type of dance that would be probably done there she believes. Everyone there is laughing and having fun. This sort of peeks her interest and after returning home from a three hour drive. She says to her husband “you know, I think I want to do the DNA test". Her husband is a little surprised by this and looks at her and for not really any particular reason says “do you really want to do this?" She reply's "yes, I know my nationalities but want to see how much of each. Results come back for her.... not exactly what she was expecting... Actually a little surprising! Over the next few months she learns that for fifty+ years she has been holding a secret. A secret that she didn't know she held that WILL change lives.....Forever! This book is a diamond in the rough - there is no polish to it. It reads exactly as the author's thoughts and emotions enveloped her ... unedited. I sense this is the reason I read the book in one sitting - because it read as if the author was sitting across from me telling her story. Surprisingly, the book filled me with strong emotions, much of it anger, because sometimes, that's what secrets do. KUDOS to the author for her bravery. I was able to get a copy of this book just prior to its release. I started reading it and did not put it down until I was finished. The writing is raw, unedited and from the heart. The author wrote HER unbelievable story without allowing anyone to edit her thoughts and feelings. Read it for what it is and you will come away with your emotions clamouring to be heard. KUDOS for the bravery of writing an unedited heartfelt story.